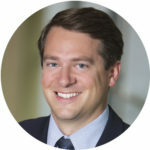 He is a founding member of the BlackRock Sustainable Investing team and works to develop scalable, innovative investment solutions to address clients’ financial objectives alongside their social or environmental needs. Prior to joining BlackRock, John served as Innovation Manager at Acumen, a social venture fund investing in companies delivering goods and services to low-income consumers across Southeast Asia, Africa, and Latin America. Prior to Acumen, John served as a senior policy analyst in the Office of Mayor Michael Bloomberg in New York City and managed rule of law development programs across 17 countries.He has written for Harvard Business Review and researched at the Center for Sustainable Investment at Columbia University.